In preparation for the spookiest night of the year, we’ve unearthed several healthy alternatives to typical Halloween treats. Unfortunately, the majority of candy passed out on Halloween is frightfully laden with high fructose corn syrup and a slew of other scary ingredients. We’d prefer to treat our mini-revelers to tasty, mindful goodies; and in our search for such delights, we came across a few very inspiring products we’d like to share to make everyone’s trick or treating experience more enlightening than frightening. 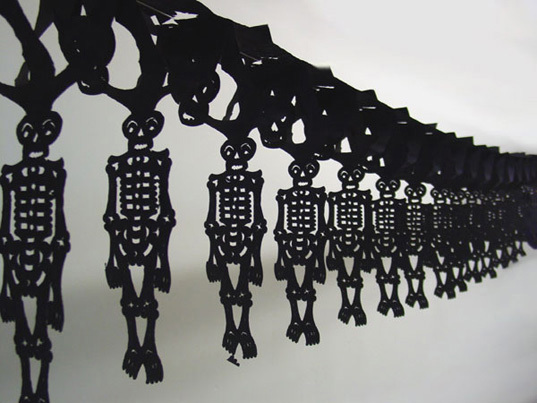 Global Exchange Fair Trade Online Store offers a Fair Trade Trick or Treat Action Kit. 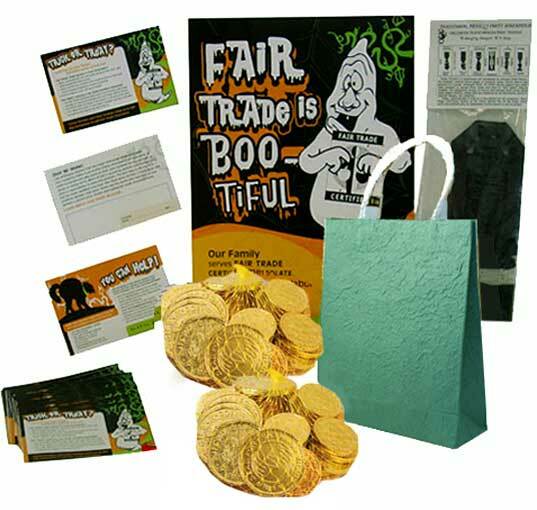 This kit contains a 100% eco-friendly trick or treat bag from Thailand, two bags of Fair Trade chocolate “coins” to gift to trick or treaters, a stack of Halloween postcards to hand out, a string of Mexican party streamers, and a charming “Fair Trade is Boo-tiful” poster to hang on your front door to inspire and educate passerby. The postcards give information about how you can help promote Fair Trade, and included in the set is a detachable postcard to send to the World Finest Chocolate CEO to encourage the offering of Fair Trade certified chocolate. The kit costs $16.50 and is available at Global Exchange Fair Trade. Endangered Species Chocolate Halloween treats are made without processed sugars, hydrogenated fats, pesticides, or growth hormones. Each chocolate square includes one of forty-eight endangered species trading cards. Chocolate squares come in dark and milk chocolate varieties. 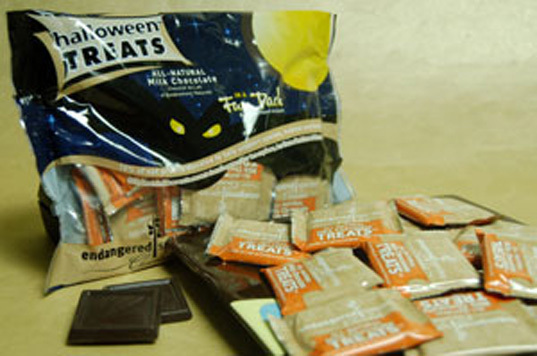 A Halloween treat pack contains twenty-four individually wrapped pieces for $6.72. 10% of profits from all Endangered Species chocolates is donated to support animal and environmental conservation. Endangered Species Chocolates can be found at www.chocolatebar.com. Eco-Planet organic cookies come in four lively, mindful shapes: a sun (representing solar energy), a windmill (representing wind-power), a hybrid car, and a planet earth. I can say first hand that these cookies are dangerously delicious. We bought them for our 11 month old, and within a couple of days, my husband and I had polished off these toothsome treats. Eco-Planet cookies are made with only USDA certified organic ingredients, they contain no GMO’s, no trans fats, no hydrogenated oils, no saturated fats, and they are low in sodium. These cookies are baked in a 100% organic certified bakery, and they are both kosher and vegan. A portion of their proceeds are donated to eco-conscious non-profit organizations, such as 1% for the planet. Eco-Planet cookies sell for $.99-$1.39 for the 0.5 oz box and $2.99-$3.29 for the 6 oz. box. In preparation for the spookiest night of the year, we've unearthed several healthy alternatives to typical Halloween treats. Unfortunately, the majority of candy passed out on Halloween is frightfully laden with high fructose corn syrup and a slew of other scary ingredients. We'd prefer to treat our mini-revelers to tasty, mindful goodies; and in our search for such delights, we came across a few very inspiring products we'd like to share to make everyone's trick or treating experience more enlightening than frightening.